We cover vintage Macintosh model repairs. Covering: iMac G4, iMac G5. iBook G3, iBook G4. Powerbook G4, Power Mac G3, G4, and G5. We also still cover early intel core duo based Mac's in London, and Essex via our mobile repair services. Power Mac G3 and G4 repairs. We are still able to source various vintage parts for this model Macintosh. Contact us for details. Powerbook repair solutions for the 17", 15, and the 12" Powerbook G4. Replacement services for all models. Power Mac repair services including internal power supply replacement, hard drive and ram upgrades. iBook repair services for the G3, and G4. Replacement DC Power units, Airport upgrades, and many others. Are you one of those old school Mac veterans that still own what apple call “a vintage Mac”. If you are and you are facing technical difficulties, Apple as well as many official and independent Mac repair companies no longer support or repair them. The main problem in most cases in Apple no longer make the parts for these vintage machines, in many cases they probably have made them for many years. Here at iFixExpress we are still able to source vintage parts for Apple computers like the Powerbook G4, iBook G4, Power Mac G5, and the Power Mac G3. We still also cover the much loved iMac G4 and iMac G5. Amazingly some of the early intel based Macbooks and iMacs are now considered vintage as well. 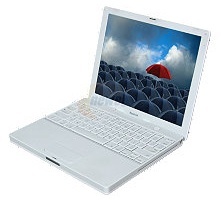 The iBook G3 was first introduced back in 1999 (model number M2453) and ran till July 26th 2005. Models included A1055, A1134, A1054, A1054, A1133, A1007, and the A1005. Interim CEO Steve Jobs turned his eye to the redesign of the PowerBook series in 2000. The result was in 2001 the Powerbook G4. Still over 10 years later the Powerbook G4 is a beautiful laptop. The Powerbook G4 12″ is still a very much sort after item for Mac collectors. We are please to let you know we still cover the models below for repair. The Powerbook G4 ran from 2001 to 2005 when the Macbook Pro with intel was first introduced. 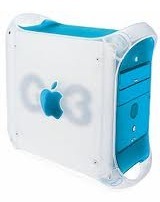 In 1999 Apple introduced the Power Mac G3 (blue and white). It was discontinued in August 2009 in favour of the Power Mac G4. The Power Mac G4 ran from 1999 to 2004, it used the Power PC G4 chip. Apple also made a model called the Power Mac G4 cube around the similar time. The Power Mac G5 was presented by Steve Jobs at Keynotes back in June 2003. It was the first first 64-bit PC, and at the time it was the fastest Mac ever built by Apple. 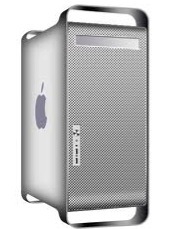 It featured a an anodized aluminium chassis and ran production till 2006, then was replaced by the Mac Pro. The processor specs for the run until 2005 are featured below. Some of the most popular vintage Mac’s we still see regally is the iMac G4 Sunflower and the iMac G5. Amazingly The iMac G4 has become somewhat of a design icon with many wishing to refurbish to keep in a study at home as a talking centre peace. To think that the iMac G4 in some cases is over 10 years old (first being introduced back in 2002). This model ran till 2004. The processor specs are detailed below. In 2004 Apple did an overhaul on its iMac and the G5 was born. It was also the last of the iMacs that could natively run Mac OS 9 (Classic). The last model was released in 2006 with a built in isight camera. It was around this time Apple was in the middle of moving over to intel based Macs. Here at iFixExpress we still repair the classic Macintosh computers and laptops, so if you are looking to stick with old faitful that bit longer we may be able to help you. We can still track down parts for vintage iBook, Powerbook, and Power Mac machines. In some cases we can still even help with old eMac models. Get in contact today for details. Service Areas – Vintage Mac Repair London, Essex: Battersea SW11, Barnes SW13, Putney SW15, Tooting SW17, Wimbledon SW19, Brixton SW2, Clapham SW4, Fulham SW6, South Lambeth SW8, West Chelsea SW10, Raynes Park SW20, Mayfair, Marylebone, Soho W1 Acton W3, Eailing W5, Hanwell W7, Maida Vale, Warwick Avenue W9, Notting Hill, South Woodford E18, Stratford E20, Manor Park E12, Whitechapel/Stepney E1, Forest Gate E7, Homerton E9, Plaistow E13, Bethnal Green E2, Manor Park E12, Isle Of Dogs E14, North Woolwich E16, Waterloo SE1, Enfield EN1, Barnet EN5, Brent Cross NW4, Blackheath SE3, Woodford Green IG8, Loughton IG10, Barking IG11, Wembley HA0, Harrow HA1, Wealdstone HA3, Ruislip HA4, Pinner HA5, Charlton SE7, Eltham SE9, South Tottenham N15, Stamford Hill N16, Tottenham N17, Edmonton N18, Archway N19, Totteridge N20, Winchmore Hill N21, Wood Green N20, Anerley/Penge SE20, East Dulwich SE22, Herne Hill SE24, Hornsey N8 , Cricklewood NW2, Hampstead NW3, Hendon NW4, Kentish Town NW5, Kilburn NW6, Mill Hill NW7, St John’s Wood NW8, The Hyde NW9, Willesden NW10, Golders Green NW11, Hornchurch RM11, Elm Park RM12, Rainham RM13, Upminster RM14, Paddington W2, Chiswick W4, Hammersmith W6, Kensington W8, Ladbroke Grove, North Kensington W10, Shepherd’s Bush W12, West Kensington W14, Islington N1, East Finchley N2, Finchley N3, Finsbury Park N4, Highbury N5, Highgate N6, Holloway N7, Crouch End N8, Edmonton N9, Muswell Hill N10, New Southgate N11, North Finchley N12, Palmers Green N13, Southgate N14, Walthamstow E17, Kensington SE11, Leiwsham SE13, Peckham SE15, Walworh SE17, Crystal Palace SE19, Dulwich SE21, Forest Hill SE23, South Norwood SE25, West Norwood SE27, Thamesmead SE2, Brockley SE4, Catford SE6, Deptford SE8, Greenwich SE10, Lee SE12, New Cross SE14, Rotherhithe SE16, Woolwich SE18, Croydon CR0, DA5 Bexley, Bexleyheath DA6, Ilford, Essex IG1,Gants Hill IG2, Seven Kings IG3, Redbridge IG4, Clayhall IG5, Barkingside IG6, Chigwell IG7, Camden NW1, Cricklewood NW2, Streatham SW16, Wandsworth SW18, Camberwell SE15, Willesden NW10, Golders Green NW11, Whitechapel E1, Shoreditch E2, Bow E3, Chingford E4, Clapton E5, East Ham E6, Stratford E7, Hackney E8, Hackney Wick E7, Leyton E10, Leytonstone E11, Ilford E12, Plaistow E15, Docklands E16, Northwood HA6, Stanmore HA7, Edgware HA8, Wembley HA9, Romford RM1, , Chadwell Heath RM6, Rush Green RM7, Becontree Heath RM8, Becontree RM9, Dagenham RM10, Hornchurch RM11, Hampstead NW3, Hendon NW4, Kentish Town NW5, West Hampstead NW6, Colindale NW9, Syndenham SE26, Pimlico/Belgravia SW1, Chelsea SW3, Earl’s Court SW5, Knightsbridge, South Kensington SW7, Stockwell, Brixton SW9, Balham SW12, Mortlake/East Sheen SW14, South Ockendon RM15, Chafford Hundred RM16, Grays RM17, Tilbury RM18, Purfleet RM19, and West Thurrock RM20, Holland Park W11, West Ealing W13, and Bayswater.